For patients struggling with tooth loss, our team at Berger Dental Group can perform dental implant surgery to restore form and function to your smile. Dr. Robert F. Berger, has been performing dental implant surgery since 1989 and has advanced training in this field of dentistry. To provide patients with the highest quality results, our Columbia, SC and Elgin, SC, offices are equipped with innovative technology. As such, we can create an entirely unique treatment plan, designed to meet your oral health needs. Often, Dr. Berger can place dental implants immediately after tooth extraction. He may also be able to attach dentures to just four implant posts. In short, whatever your tooth replacement needs, we can provide an appropriate and long-lasting solution. To ensure a successful implants procedure, your dentist can create a meticulous surgical plan suited to your needs and review your treatment timeline. We will first evaluate your oral health, as periodontal disease can affect the longevity of dental implants. Further, your dentist will examine the structure of your jawbone using an advanced computed tomography (CT) scanner. This technology enables us to take 3-D images of your smile, so that we can determine the strongest place for implants. Your doctor will always place the smallest number of posts possible, while still providing a secure base for your restoration. To receive implants, your jaw must be strong and dense enough to support implant posts. If you have sustained tissue recession due to tooth loss, our team can perform a bone grafting procedure to rebuild your jawbone structure. Prior to surgery, your dentist will numb your gums and typically administer a deeper form of sedation. For your comfort, our team members are certified to provide oral and IV sedation. When you are ready to begin, we can create small incisions in your gums to access the underlying bone. We can then carefully make room for implant posts, ensuring minimal impact on surrounding healthy tissue. Next, we can place the posts in your jawbone, using your surgical plan as a guide. Your doctor will always place the smallest number of posts possible, while still providing a secure base for your restoration. In some cases, just four implant posts can support a full denture. In other cases, patients may need up to eight posts. When all the implants are in place, we can close the incisions with dissolvable sutures. During surgery, your dentist will embed implant posts into the jawbone to provide a secure base for restorations. Depending upon your dental needs, we may be able to attach a restoration on the same day as implant surgery. This is determined on a case-by-case basis and will depend largely on the strength of your jawbone. Even if you do not qualify for same-day restorations, we can supply you with a temporary, custom prosthetic. Immediately after surgery, you may experience some discomfort, swelling, or bleeding. However, pain can be managed with over-the-counter or prescription medication. Over a period of three to six months, your bone will fuse with the biocompatible titanium posts, making them a permanent part of your smile. Once you have made a full recovery, your dentist can attach the final restoration. If you did not receive a same-day restoration, we will perform a second, minor surgery to remove any gum tissue that has healed over the implants. 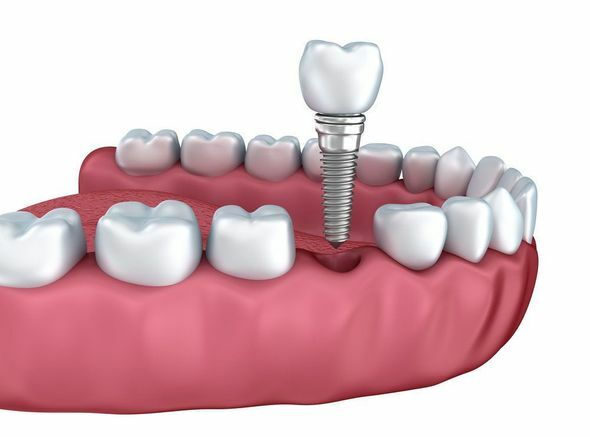 During this procedure, we can reopen the incisions and attach abutments to the dental implants. These connector devices serve to attach the implant post to your custom restoration. For patients who already have their restoration, this step is usually not required. In this case, we will simply remove the temporary prosthetic and affix your permanent restoration to the dental implant. You can then enjoy a beautiful, healthy smile and improved dental function. At our practice, we are committed to providing the highest quality dental care during each and every procedure. To learn more about dental implant surgery, contact Berger Dental Group online today. You can also call (803) 787-9793 to schedule an appointment. Our team would be happy to review any and all questions you may have.